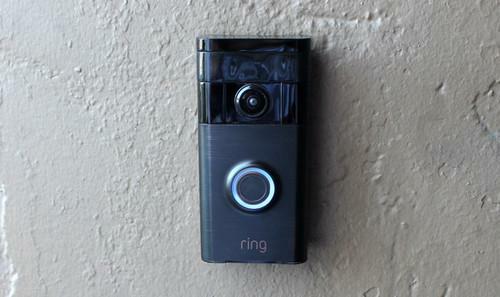 It took more than a year, but some months ago, the Ring Video Doorbell launched in Australia. My house has never had a doorbell. This alone makes me a good candidate for the Ring Video Doorbell ($299), which uses home WiFi to transmit the sound of a doorbell chime directly to smartphones, as well as to Ring's wall-mounted Chime accessory, which costs $59 ($79 for the WiFi extender version). But there's a deeper reason why I wanted to test Ring: It's got intriguing home-security features that could discourage the thieves who've been targeting my neighborhood in a series of daytime robberies. Burglars typically start these capers by ringing the doorbell to determine if anyone's home. 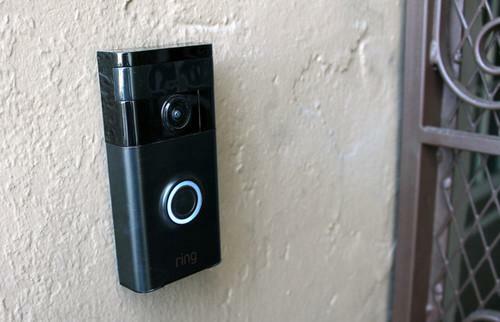 The Ring Video Doorbell, thanks to its built-in video camera with two-way communication, directly addresses this nefarious use case by making the bad guys think you're always at home. There's also a motion alert feature that let's you see who's come to the door, even if they never press the doorbell button. 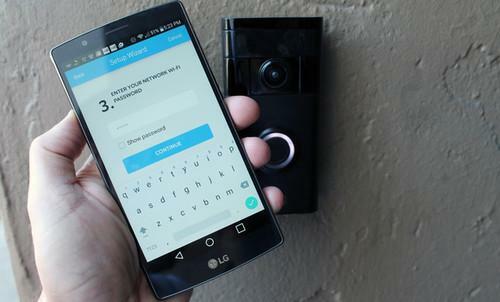 Ring's basic premise is fantastic, but throughout five weeks of testing, the doorbell didn't always deliver on its promises. It's a shame, because Ring is a clever, well-designed gadget. Indeed, if anything, Ring is a vivid reminder that inconsistent home WiFi and capricious smartphone performance are the weak links in today's smart-home tech. Ring operates on a simple concept. Someone presses your doorbell, and the signal travels through your WiFi network, up into Ring's cloud servers, and then back down to your smartphone. 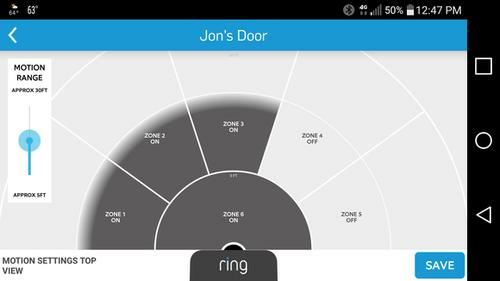 Once you open up the phone notification and get inside the Ring app, you can see who's at the door, and even talk to the person in a two-way conversation. You can see them, but they can't see you - and this is what makes Ring a compelling home security device. Whether you're inside your home, at work, or on vacation, the system is designed to let you always answer the door. The upshot: When that sketchy person comes to your door asking for "charitable donations," you can compliment his appearance - nice prison tats! - and tell him you're too busy to talk right now. Who knows, maybe you're feeding your Belgian Malinois attack dogs. Or are you? The robber will never know that you're actually speaking to him from a restaurant. In another state. When Ring worked as advertised, it delivered on all its promises. I never had any suspicious characters press the button, but I blew my neighbor's mind when I communicated with her - quite easily, through the doorbell - while I was on holiday in wine country, 200 KM away. Unfortunately, I couldn't help her get into her house (she had locked herself out), but it was a striking illustration of what Ring can do. When Ring was working without a hitch, the time delay between someone hitting the doorbell and receiving an alert on my phone was almost non-existent. Mind you, sometimes it would take a while to get from the smartphone notification to Ring's video display (more about that soon), but at least there was very little lag in actually getting the notification itself. But those were only best-case scenarios. Throughout real-world testing with visiting strangers as well as staged testing with friends, I often experienced very long latencies between the button press and a phone notification. Sometimes the lag would last up to three or four seconds. And sometimes I wouldn't receive any smartphone notification at all. Case in point: the hapless pizza delivery guy who pressed the Ring button two times before giving up, and calling my phone. I blame spotty home WiFi for this particular performance problem. It's not necessarily Ring's fault that my WiFi network is a weak link in its communication chain, but this is a product that relies on home WiFi to work in the first place. The problems I suffered reveal an intrinsic, inescapable weakness in Ring's workflow, and should remind us that all Internet-connected home appliances are only as strong as the weakest link in their networks. It's worth noting that my WiFi network is based on a Linksys 802.11ac router that's connected to a Linksys Wi-Fi range extender located about 10 feet from the Ring doorbell (albeit separated by a thick exterior wall). I spent a significant amount of time with Ring's operations director to fix connectivity problems in the early stages of testing, but even this wasn't enough to solve all the performance issues. My WiFi is dual-band, supporting both 2.4 and 5GHz, but Ring uses the 2.4GHz band via 802.11b/g/n support. WiFi issues notwithstanding, Ring's app experience sometimes introduced excruciatingly-long delays as well. Specifically, it often took a really long time to jump from Ring's notification alert to the video-chat screen that lets you see who's at your door. Here's the workflow. Step one: When you hear the chime sound, get to your phone and unlock it. Step two: Launch the Ring app from your notifications shade. Step three: Wait for the app to load. When it does load, you'll see the video camera's accept/reject prompt. Now, on paper, this doesn't sound like a frustrating process. And in best-case scenarios, the app would load as quickly as what you see in my video at the top of this article. But often these ostensibly-brief steps would take forever. Sometimes my phone would be in another room. Sometimes I couldn't quickly get it out of my pocket, or I'd fumble with my unlock code. But worst of all, sometimes the video chat screen would take an eternity to load. Just like with WiFi, the Ring platform is at the mercy of smartphone conventions it can't control. I can't tell you whether the video screen delays are due to poor coding in Ring's app, performance problems with my LG smartphone, or hiccups in my phone's WiFi or 4G connectivity. But the bottom line is that simply getting to the video chat screen can be a long, frustrating experience. In a perfect world, I'd be able to launch the video chat display directly from the notification shade - and do so quickly. But Ring doesn't have actionable notifications access. On the plus side, the new Chime accessory mitigates some of Ring's app friction. Even if your phone is in another room, or if you've turned its volume down, you can still hear that someone's pressed your doorbell button. From there you can just go straight to your front door, and talk to your visitor in person. 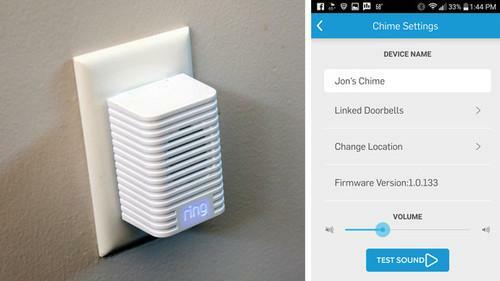 To this extent, Chime makes Ring a solid (albeit expensive) wireless doorbell. My connectivity issues notwithstanding, I've come to appreciate Ring's motion alert feature, which sends the sound of a wind chime to your phone when someone approaches your door. Once you hear the chime, you can open a video window to talk with the visitor if you're so inclined. Alternately, you can just let Ring's cloud-based recording feature ($3 monthly or $30 annually) pick up the video of your visitor, and watch it later. Throughout testing, I liked how I could verify the comings and goings of our dog walker simply by listening for the sound of the chime. The motion alert feature is ultra-sensitive, so I had to decrease its range to reduce false positives. I also found that it doesn't begin recording video until someone has been at the door for a few moments. For example, the doorbell recorded a video of a delivery person leaving my door step, but I didn't get video of him approaching and leaving my package. Unfortunately, there's no video-on-demand (VOD) feature that lets you view the outside world whenever you want. Instead, you have to wait for someone to approach the door. VOD appears to be on many users' wish lists, and Ring says it's working on adding that feature. 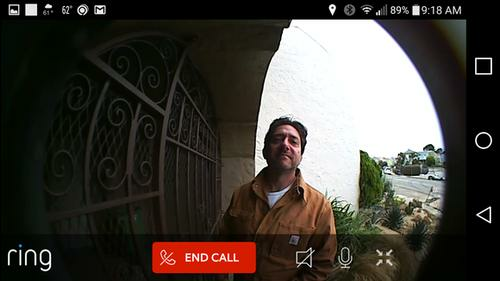 With VOD built-in, the doorbell would instantaneously turn into a full-featured security camera, so let's hope we see this addition soon. Video capture is limited to 720p, but the image quality is perfectly acceptable. The camera has a 180-degree field of view, which is essential for my doorstep, as I had to mount Ring at a right angle to my security gate. And Ring's night-vision feature works great, clearly capturing visitors after the sun's gone down. Ring can be hardwired to your existing doorbell's electrical leads, but lacking any doorbell at all, I opted to use the device's internal battery, which is charged with a USB cable (just like any typical mobile device), and is rated to last one year between charges. Pulling off the doorbell for recharging is a simple matter of removing two screws with a special tool that Ring provides, and then sliding the doorbell off a backing plate. It's no big deal. The backing plate is designed to mount on wood, brick and concrete and the kit includes installation parts, like screws and a drill bit, to provide everything you'll need. Unfortunately, using my cordless DeWalt drill, I couldn't penetrate my home's concrete, so I opted for heavy-duty double-sided tape. It works marvellously, and there's a failsafe even if someone steals the doorbell: Ring will replace stolen doorbells free of charge, as long as you provide a police report. As for overall durability, the doorbell is rain-resistant, and is rated to operate in temperatures ranging from -20 to 50 degrees . My Wi-Fi problems notwithstanding, both the doorbell and chime accessory were easy to pair with my wireless network. Just a word of caution: If you're using a WiFi range extender, make sure to pair the doorbell outside your house, right on your doorstep. This will ensure that Ring finds the extender, and not your router. If you pair the doorbell inside your home, you run the risk of pairing it with your main WiFi router, especially if your router and range extender have different names. My connection problems notwithstanding, I still give Ring a cautious thumbs-up. Every user will enter the Ring experience with a different connectivity situation - different home Wi-Fi dynamics; different smartphone variables - so others might experience better reliability than I did. In fact, some of my neighbours might testify to this. After Ring sent me the review unit, they also seeded some 20 of my neighbours with Rings of their own. The goal was to turn my neighbourhood into something of a test bed for measuring how the doorbell can be deployed to reduce crime (or at least give homeowners more confidence in their own home security). Using the NextDoor social network, I asked neighbours for reviews. "So far, so good," wrote one neighbour, adding, "I'd love to be able to just peer at the current feed, but it's more of a want than a need. [Ring] is close to the router, so there's no need for an extender. I'd almost be tempted to put one out back as well." And this from another neighbour: "I like that it connects to my mobile phone, and I can see who's at the door even when I'm not home. Based on descriptions of some of the break-ins, the crim rang the doorbell first." On the flipside, another neighbour had experiences close to my own: "Reliability is a bit of an issue... There is a significant delay in triggering the motion sensor... I had two packages delivered today and the Ring Video Doorbell recognised only one." I'm confident that if Ring were a closed system--hardwired to my home network, and not at the mercy of WiFi and smartphone connections - signal reliability would be a non-issue. But we're in the wild, wild west of cloud-connected smart-home devices. The Internet of Things (ugh--that word!) is riddled with weak links, and neither Ring nor its smart-home brethren can control the infrastructure's frequent unpredictability. However, another issue is that the device took so long to appear in Australia that a new version is already available overseas. Hopefully we won't have to wait so long for that. We're waiting on an ETA.